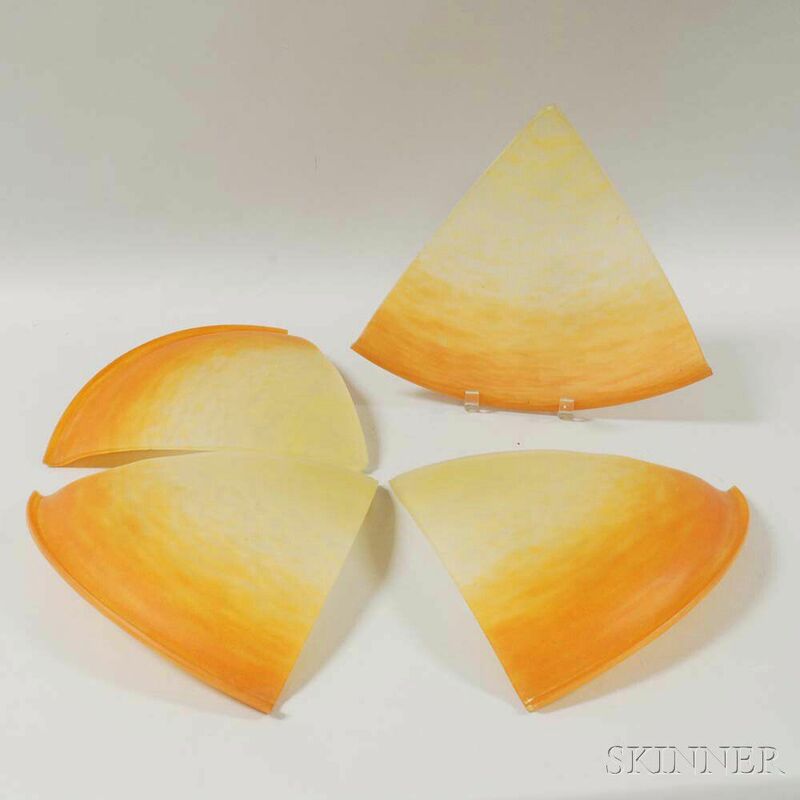 Four Daum Nancy Art Glass Shade Panels, France, early 20th century, triangular panels from a dome shade, mottled frosted glass shaded ivory to orange, each lg. 11 1/4, wd. 13 in. One with small corner chip.